Partnered with Morgan Sindall Construction Ltd to deliver this innovative £8.7 million project for East Dunbartonshire Council. 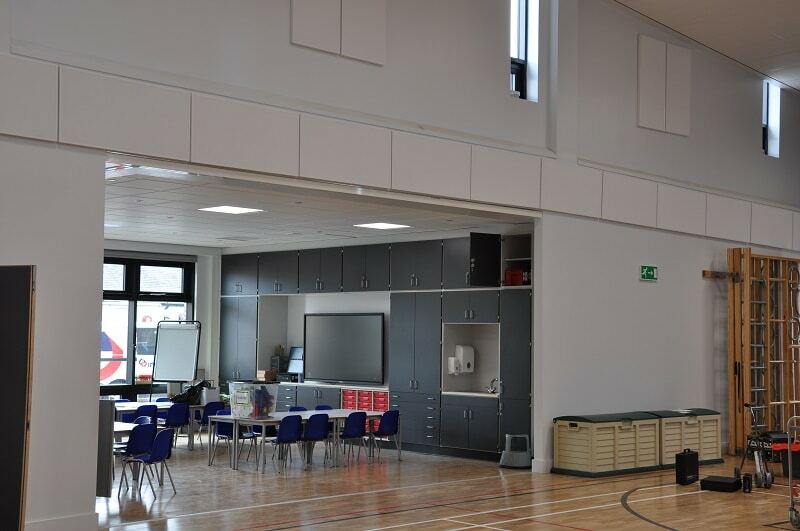 Designed by Norr Architects, Holy Trinity Primary School in Kirkintilloch is a modern facility, constructed on the former site of St Flannan’s School. Built on one level, the building is comprised of twelve open classrooms, multi-purpose halls, dining spaces and teaching support offices. 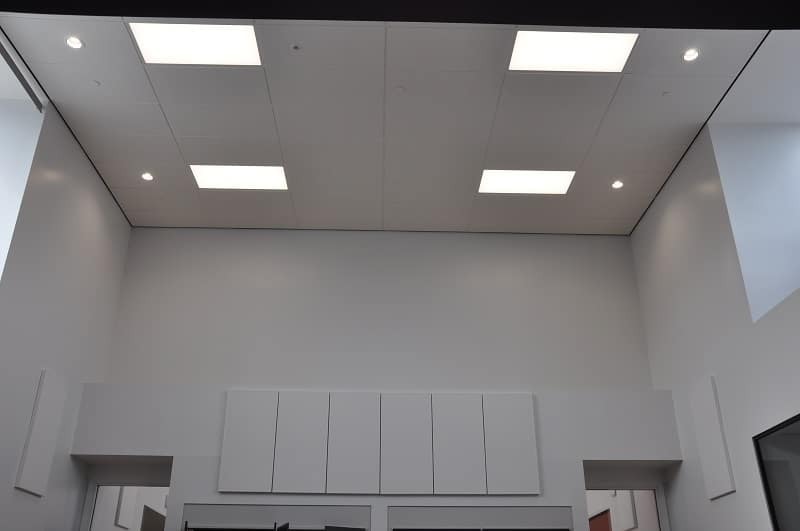 The most complex trade package of the project was the drywall construction, with the dry lining following standard British Gypsum detailing and installation requirements. However, the exacting specification requirement to provide an airtight seal to the external envelope required precise detailing, a robust quality check and handover procedure to ensure the integrity and seal was maintained. Fireline encasements to the structural steelwork also proved to be intricate and labour intensive. 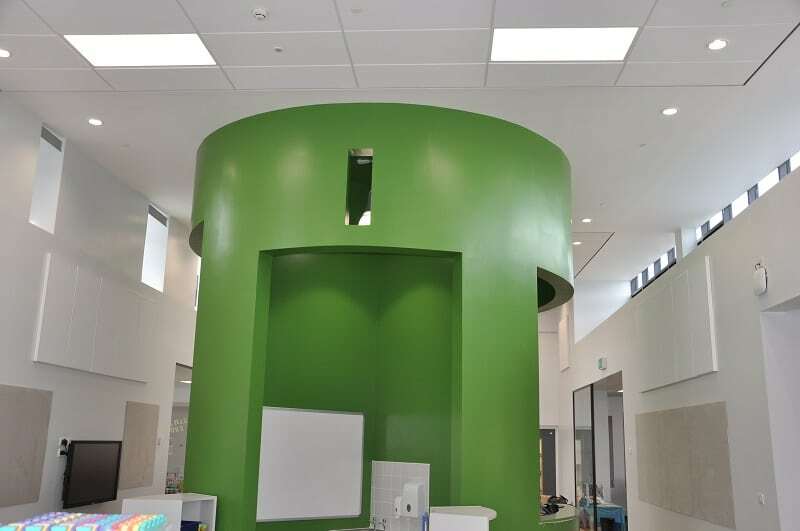 We were also closely involved in the design and construction of three eye-catching features that were designated as Learning Hub Spaces. These bespoke ‘Dens’ consisted of a timber and plasterboard structure and were fitted with shelving and seating. 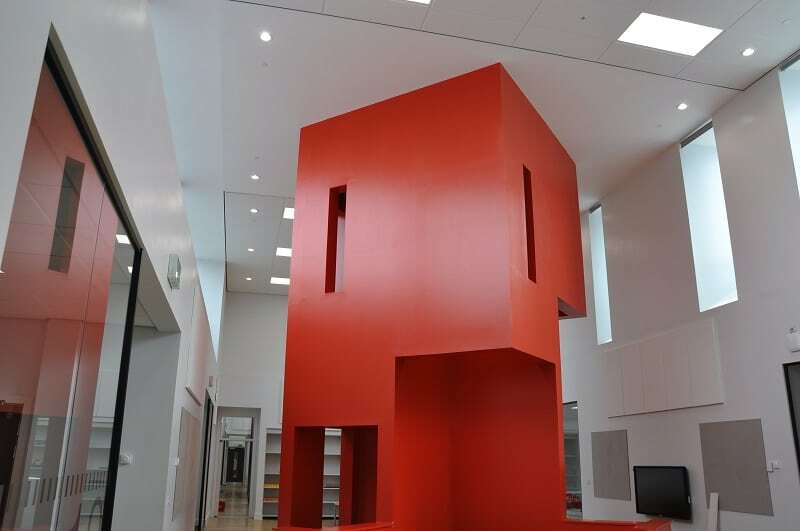 With their bright colours, these hubs serve as a unique space that supports the vibrancy of the 21st century learning experience.